ORANGE COUNTY, CA--(Marketwired - November 09, 2016) - Today, LulyBoo LLC announced that it has received The National Parenting Center's Seal of Approval. The company's Baby Lounge Premium was honored with the Seal of Approval, meaning it underwent examination, testing and approval by parents over an eight-week period. The LulyBoo Baby Lounge Premium is a portable baby lounge, designed for active parents who are always on-the-go. Made with lush fabric and colorful designs, the lounge weighs less than 4 lbs. and can be easily carried using the backpack straps built into the lounge. The LulyBoo Lounge combines the functions of a bassinet, crib, playpen, activity mat and changing station, streamlining baby gear for today's busy parents. "We are thrilled to receive this recognition from The National Parenting Center," said said Pazit Ben-Ezri, CEO and founder of LulyBoo. "It's an honor to receive the Seal of Approval to show our continued commitment to developing high-quality products that babies, toddlers and parents love." LulyBoo products are designed for traveling families and active parents who enjoy having a convenient, safe space for their babies and toddlers with no interruption to their busy lifestyle. The LulyBoo line of signature baby products gives caring parents the ease of portability and versatile function without sacrificing baby's comfort or safety. Including the signature Baby Lounge and an assortment of baby accessories, the collection of products is carefully designed to create a special place baby can call home, wherever their parent takes them. "After two months of testing by parents, the results are in and LulyBoo's Baby Owl Lounge received two big thumbs up and is the recipient of a brand new Seal of Approval," said David Katzner, President of The National Parenting Center. "The Lounge is a great addition to any new parent's arsenal as it provides a safe, comfortable, cozy environment for baby. We look forward to seeing what other products LulyBoo creates in the future." The National Parenting Center's Seal of Approval program is an independent testing procedure conducted to judge a variety of products introduced and marketed to the parent/child consumer market. The testing involves a multi-step process conducted over an eight-week period. Staffed by volunteers, the testing facility of The National Parenting Center gives parents, children, and educators the opportunity to examine a variety of submitted products. 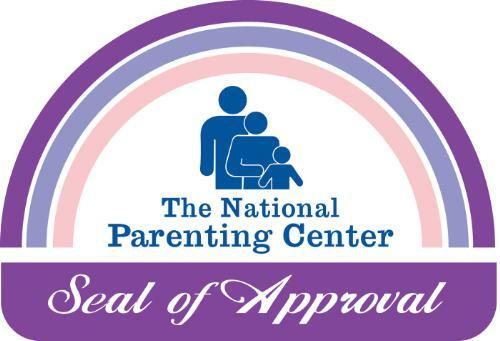 The Seal of Approval program is designed to continue the efforts of The National Parenting Center, which was chartered in 1989 to help inform parents as they tackle the challenges and enjoy the many rewards of parenting. LulyBoo lounges are available to order online at Amazon, Walmart, Baby Depot, Babies R Us, Costco, Target, and BuyBuyBaby. LulyBoo is a global brand created and spearheaded by innovator, entrepreneur, and mother of four, Pazit Ben-Ezri. The company's line of signature baby products gives caring parents the ease of portability and versatile function without sacrificing baby's comfort or safety. Including the signature Baby Lounge and an assortment of baby accessories, the collection of products is carefully designed to create a special place baby can call home, wherever their parent takes them. LulyBoo recognizes that modern parents need unique products that keep their babies happy, clean and cozy while fitting into their everyday lifestyles. For more information, please visit www.lulyboo.com. The National Parenting Center's Seal of Approval program, created in 1990 as an adjunct to TNPC's support services, identifies the finest products and services being marketed to the parent/child audience. From educational and entertainment products and equipment to travel destinations, the consumer-oriented testing process solicits evaluations from parents and their children. This award signifies to other parents that their peers have acknowledged a product's quality and desirability based on a wide variety of determining factors.